When the power house, grandfather of beer comes to Baltimore, everybody watch out! Guinness Brewery has opened its doors and has been wowing crowds with its one and only stateside location ever since. When you pass through the resort-style gates, you are met with the feeling of being transported to another country. 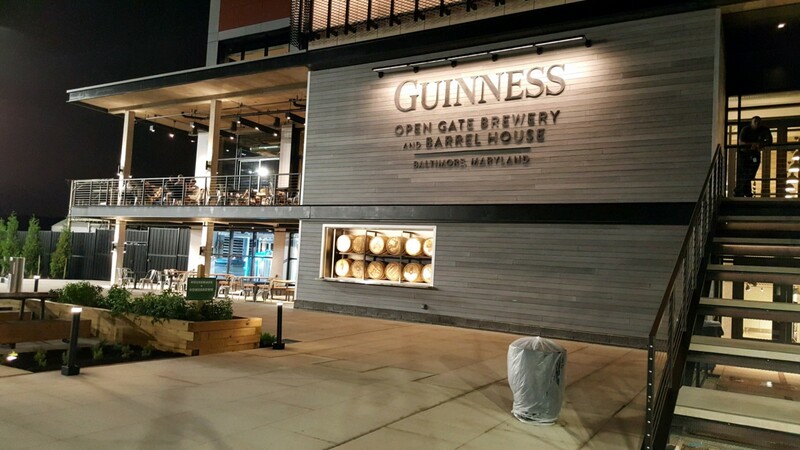 It’s like every detail has been expertly thought out to answer the question: “how can we give our guests an experience only Guinness can produce?” The outdoor seating is plentiful, the staff welcoming, and the sheer magnitude of the facility overwhelming in the most amazing way. So much so, that it almost forces you to reach for your phone in an effort to capture at least some small part of the moment. 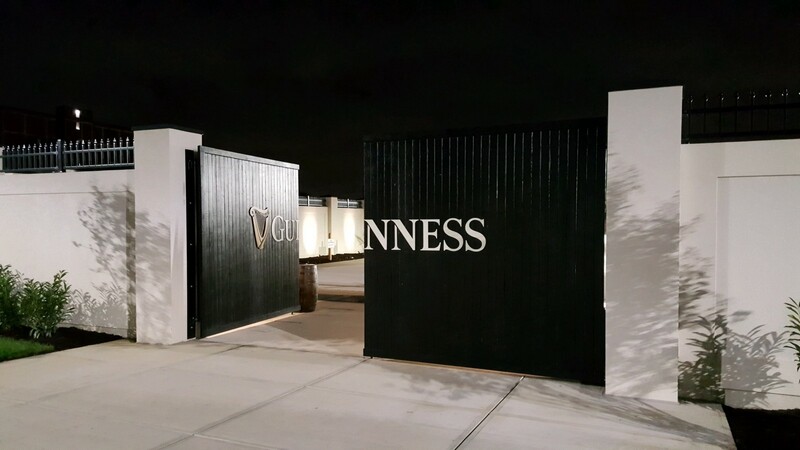 Passing through the bustling first floor with the tasting room on one side and the gift shop on the other, you can just feel the excitement Baltimore has in receiving such an iconic brand like Guinness to our backyard. In the tasting room, there are comfortable seats, a ready staff, and small bites as you would expect for a brewery that welcomes guests. What you may not expect is the fantastic dining experience Guinness has created upstairs — A full restaurant concept called 1817. Named for a year significant in their history. The menu laden with a variety of options including some infused with Guinness, has quite a sufficient offering for the educated foodie palette, and novice alike. The cold crab salad with avocado, mushroom flatbread, and crab bisque are just a few of the favorite must try appetizers that go perfectly with the ale of your choosing. In addition to the well versed food selections, and the standard full size pours, the restaurant cleverly offers sample 6oz. pours, at roughly $3 each, of the brews on tap — a convenient addition that allows you to eat and drink in the same space. Order appetizers and maybe one entree to share with your table. That way you get to sample lots of different flavors. Drink the Oatmeal Stout! This brew is by far the most complex tasting and presents a fantastic chocolaty finish at the end of the sip. The description on the website says “Our oatmeal stout boasts a beautiful mahogany color (coming from a rand of specialty caramel, chocolate, and roast malts) with abundant tan head, backed up by aromas of dried fruit and caramelized sugar.” Without being too sweet, the brew lives up to its description! Oh! And it was brewed in Maryland (talk about local)! If you are new to Guinness, take a sample of several varietals to see which ones appeal most to you, but Guinness was built on stout, so that is truly where they excel. Make a day of it! Guinness has built such a tremendous facility that it truly stands alone as an experience worth having while visiting Baltimore. Book a tour, hang out on the grounds, take tons of selfies, hit the tasting room for a quick pour, head over to the gift shop for some merch to remember the day, then take your seat in 1817 for some of the best food and service you will have in the City. Speaking of service, and true to their brand, Guinness has recruited a staff who understands the value of maintaining a high standard of care for the guests who choose to dine in the restaurant. Our server Jack was a gem! Knowledgeable, attentive, personable, and excited about the menu. Each of his recommendations were spot on and his commentary about the dishes truly enhanced the experience. If Jack is any indicator of the standard and quality of care you can expect when going to 1817, we should all eat there once a week. And speaking of once a week. Guinness has created an exciting way to keep guests returning for more. Our fantastic server let us know that a new brew would be coming out soon. So new in fact that it has not quite been named. For now it is going by the barrel aged Chile stout. Yes that’s right, whiskey barrel aged stout infused with tobasco to create a flavor so advanced yet balanced it could only have been pulled off by Guinness.